The aroma of dry blood is in the air. Rusted chains and copper wires hang from the walls, some look like they’ve been there for years. The walls , which once were white, are now stained with something resembling the color of coffee. The only sound heard is the echoing drips from a nearby leak in the ceiling. Drip, drop. The sound is the only constant. A single light bulb hangs from a cord in the center of the room. The unstable source of light shines down in a solitary beam, only striking the empty chair below it. This is the place he frequents in his tales of horror. This is the home of the Coathanga Strangla. This is the world of Brotha Lynch Hung. 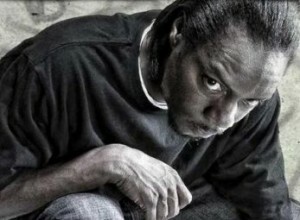 Lynch has been credited with being one of the main pioneers of Horrorcore music. The West Coast MC has been active since the late eighties, and has had a storied career. Lynch has always had a strong following. Fans love his clean delivery and gruesome tales of cannibalism, murder, and insanity. The themes he has carried on every one of his albums have helped him create one of the most frightening characters in music. When Lynch details his acts of brutality, he does so in such a graceful manner that you can’t help but believe every word he says. This is what makes Lynch a musical genius. Since signing with Strange Music, Lynch has promised fans a three-part odyssey into the world of the Coathanga Strangla. The first chapter, Dinner And A Movie, sets the tone for Lynch’s murdering alter-ego. The album, which plays out like a horror movie, drops listeners in the middle of a police investigation in response to a series of grisly murders. The man in question sits in an interrogation room with frustrated officers as he agrees to confess to his crimes. He then takes everyone for a ride into the demented world of a killer that ends with an eerie twist. Lynch has built a story around his character and managed to capture the imagination of listeners. Now with Dinner And A Movie out of the way, Lynch is positioned to continue his masterpiece. The anticipation continues to build for Coathanga Strangla. Where will Lynch take his character next? Not much has been revealed about the album. Lynch has been busy in the lab for the last few months, sporadically updating fans via his Twitter account. With little contact to the outside world during the recording process, Lynch has immersed himself in the tale of this merciless killer. 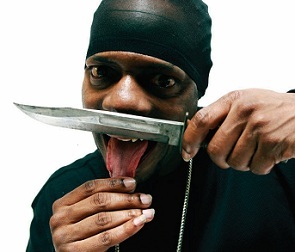 The most shocking thing about it all is that no one is really sure where the line is drawn between Brotha Lynch Hung and the Coathanga Strangla. How much of this character is fictional, and how much is real? Fans can expect to unravel the mystery of the Coathanga Strangla in early 2011.